The day is almost here for you to have your cataract surgery! You have visited your Ophthalmologist, you’re informed about your procedure and expected results… but do you know what to do in the lead up to your procedure day? Keep reading to learn how to prepare to ensure a smooth easy surgery day and zero confusion. It is important at the time of surgery that no eye infection is present. If in the 10 days prior to surgery you feel that your eye is becoming red or is beginning to discharge at all, please ring the rooms in order to let the doctor examine your eyes prior to your surgery. If there is any change in your general health, such as heart problems, chest problems or a severe cold associated with a cough, please inform your doctor. 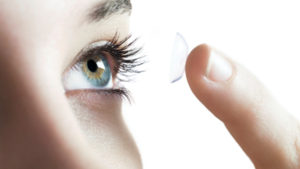 Please do not wear a contact lens in your operation eye during the 3 days prior to surgery. At the time of arranging your cataract surgery, you will be advised of what aftercare is required which includes eye drops. You are required to begin an antibiotic eye drop 3 prior to your surgery date to help fend off any infection. You should use the drops on the day of surgery and take them with you to the day surgery on the day of your procedure. It is important to be comfortable and practical when making clothing decisions on the day of your surgery. Please wear warm, loose fitting clothes. You do not need to get changed but will be given a gown to wear over your clothes. Flat, non-slip shoes are the best to wear if you have them. Please bring a pair of non-prescription sunglasses to wear home after your procedure. Please do not wear any make-up, perfume, aftershave, spray-on deodorant or hairspray. 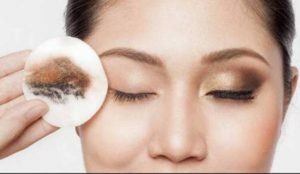 Thoroughly remove all traces of make-up from around your eyes the night before your procedure. 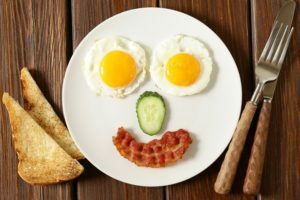 You do not need to fast prior to your procedure and should have a light meal beforehand (avoid heavy fatty foods and alcohol). You will be given something to eat and drink after your procedure. You should continue your usual medications, especially if you are diabetic or on treatment for reflux. Always contact your Doctor if you are unsure of anything regarding pre-operative instructions, the day of surgery or aftercare protocol.